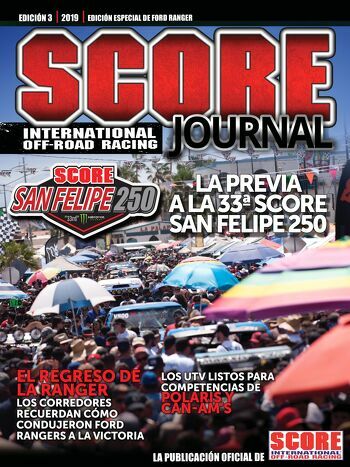 ENSENADA, Baja California, Mexico — As the field of entries from 21 U.S. States and seven countries climbs higher, 11 SCORE racers are undefeated in 2018 heading into this month’s special format Lucerna Hotels & Resorts Tijuana 22nd SCORE Desert Challenge. Here is the link for the map of the race route on the SCORE website – Course Map for 2018 SCORE Desert Challenge. As racer registration continues online for Round 3 of the four-race 2018 SCORE World Desert Championship on the SCORE website atwww.SCOREInternational.com, dates for race-week festivities and the race are Sept. 20-23. Contingency will be held in directly in front of the headquarters hotel on the historic Avenida Paseo de los Heroes from 9 a.m. to 5 p.m. PT on Friday(Sept. 21) with tech inspection lasting one hour longer until 6 p.m.